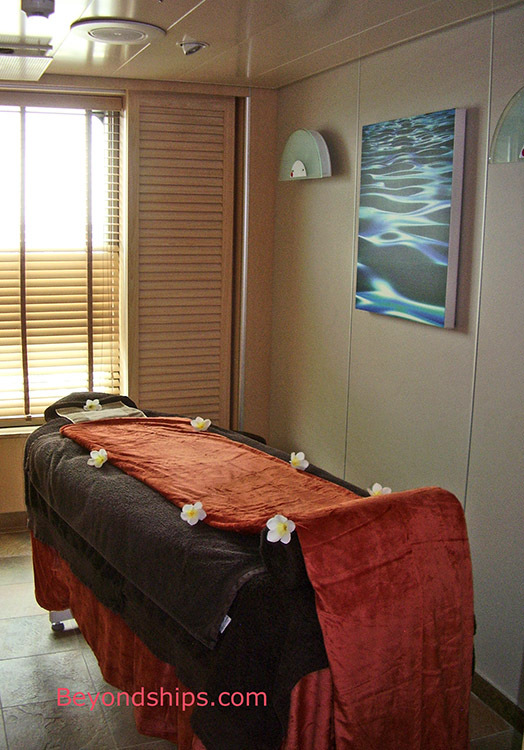 Oasis Spa & Health Club. 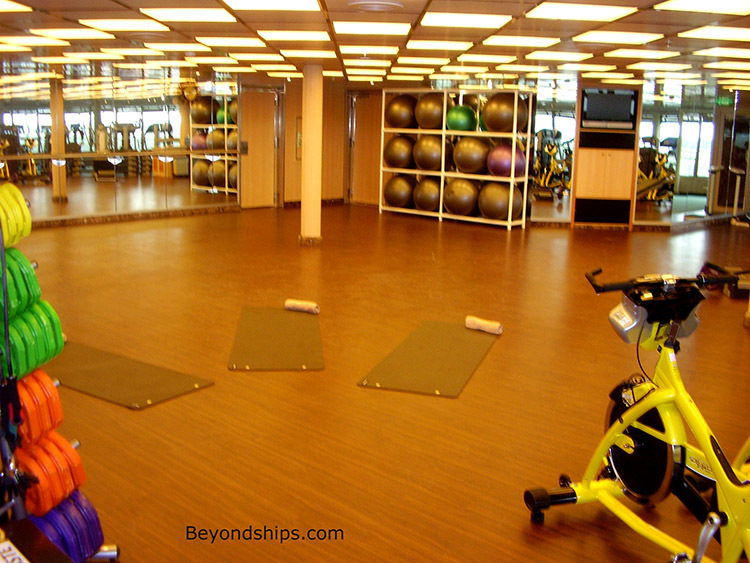 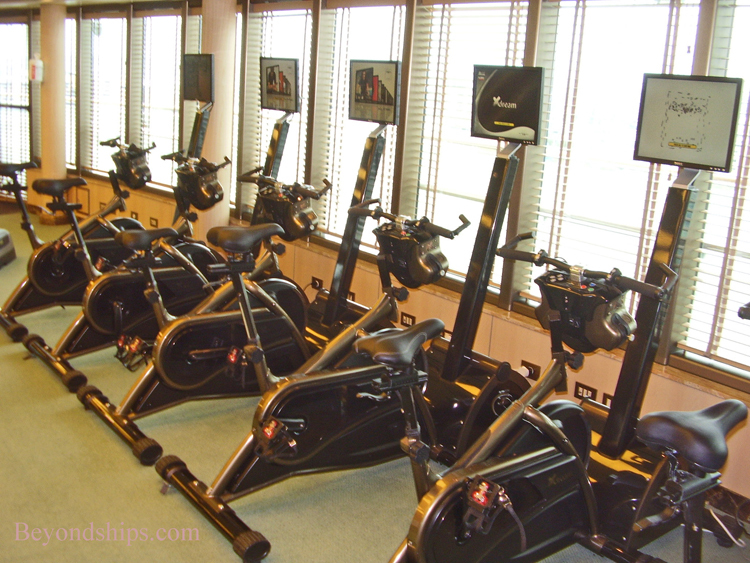 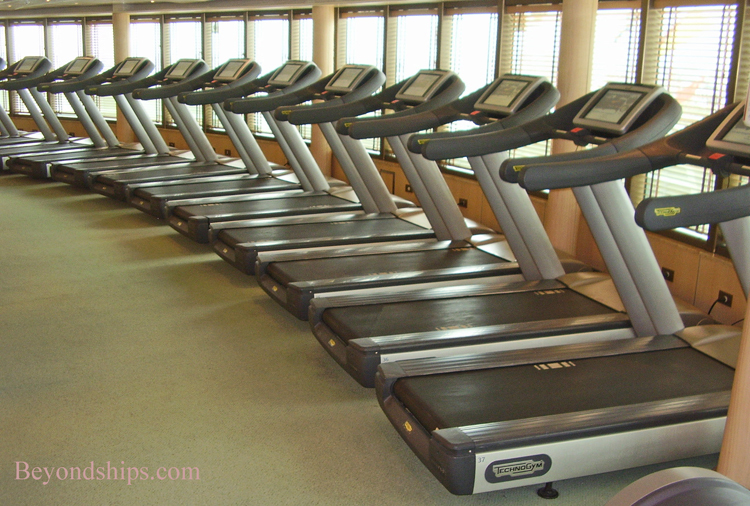 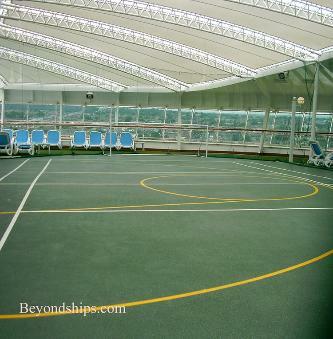 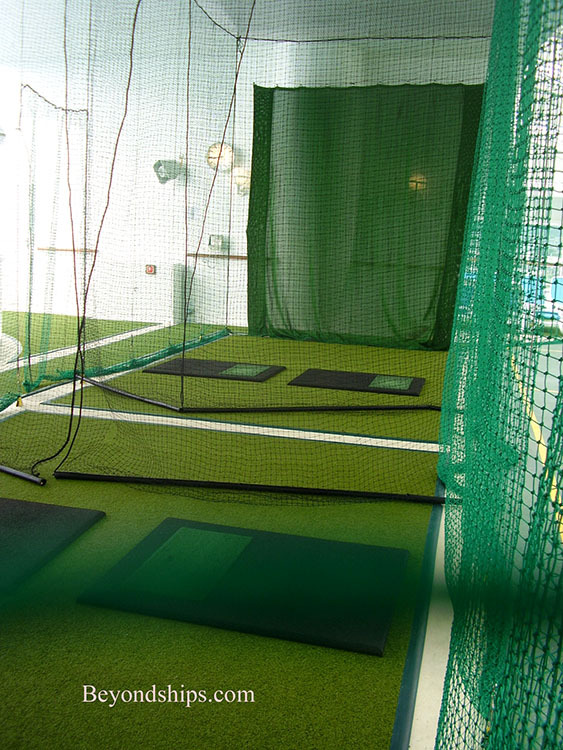 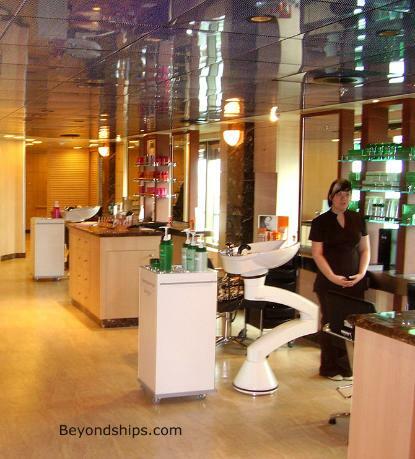 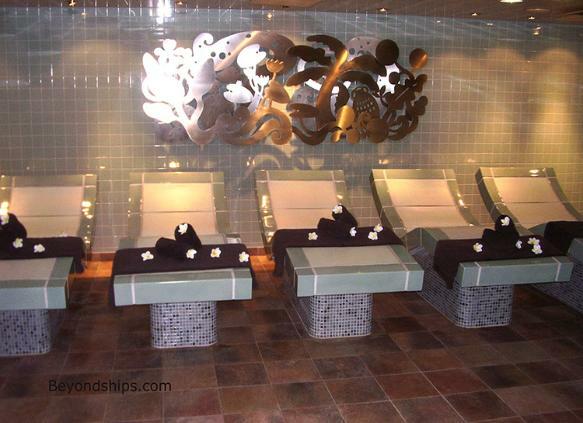 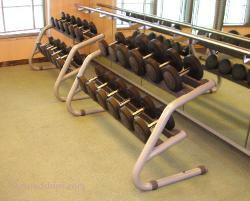 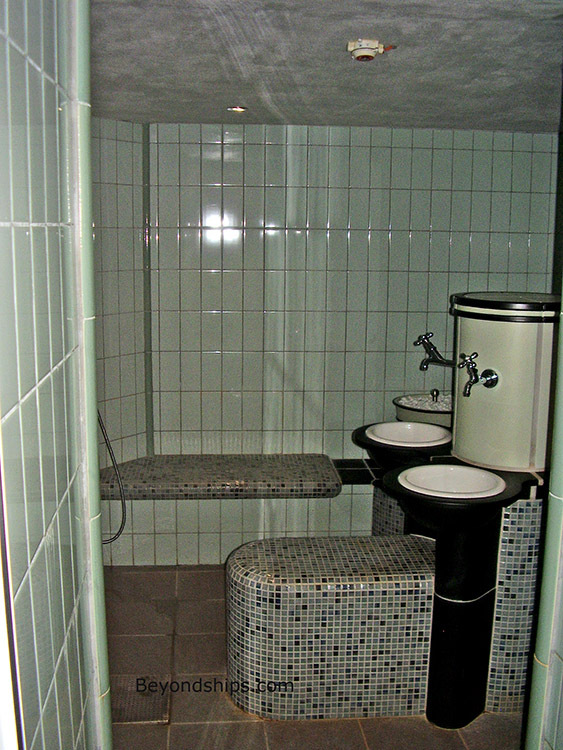 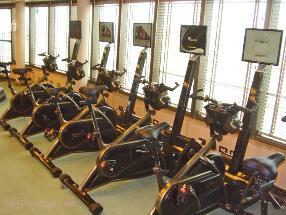 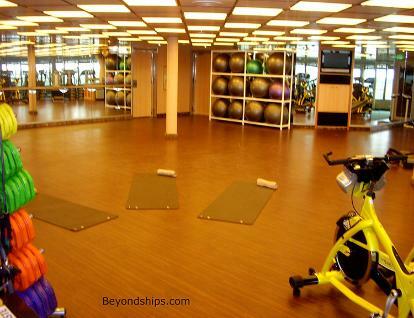 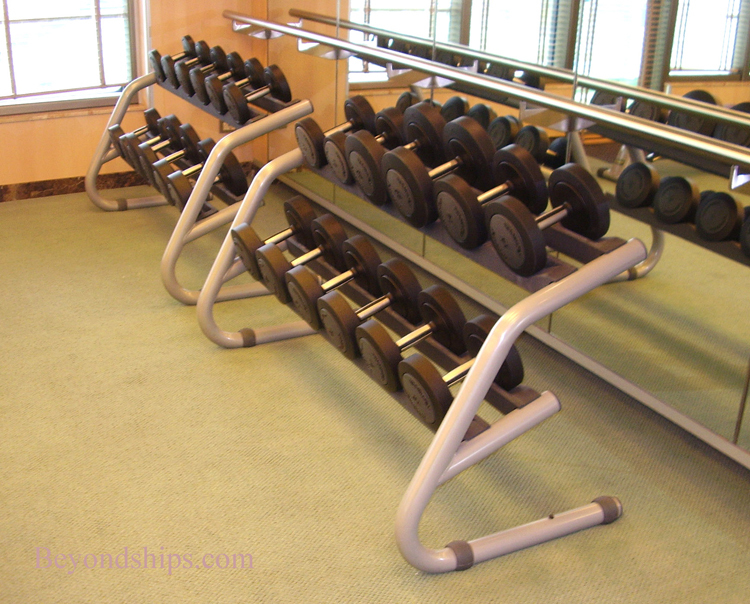 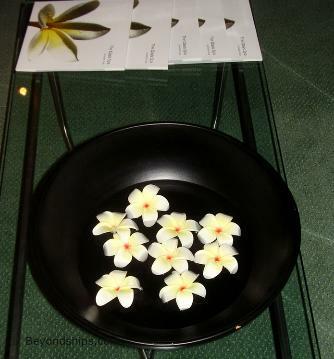 It combines a spa treatment area, a gymnasium and a salon. 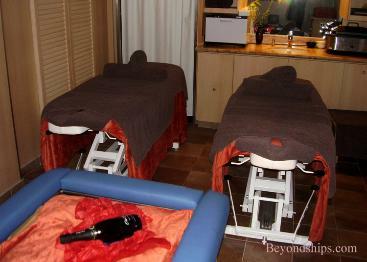 Beach House, it is convenient for family use. 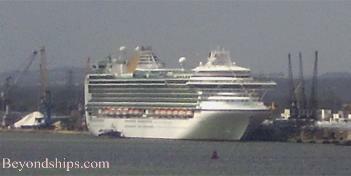 Also looking over the stern is a large whirlpool (below). 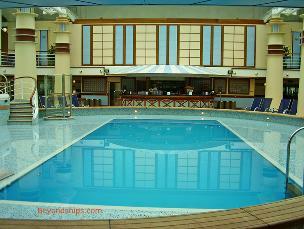 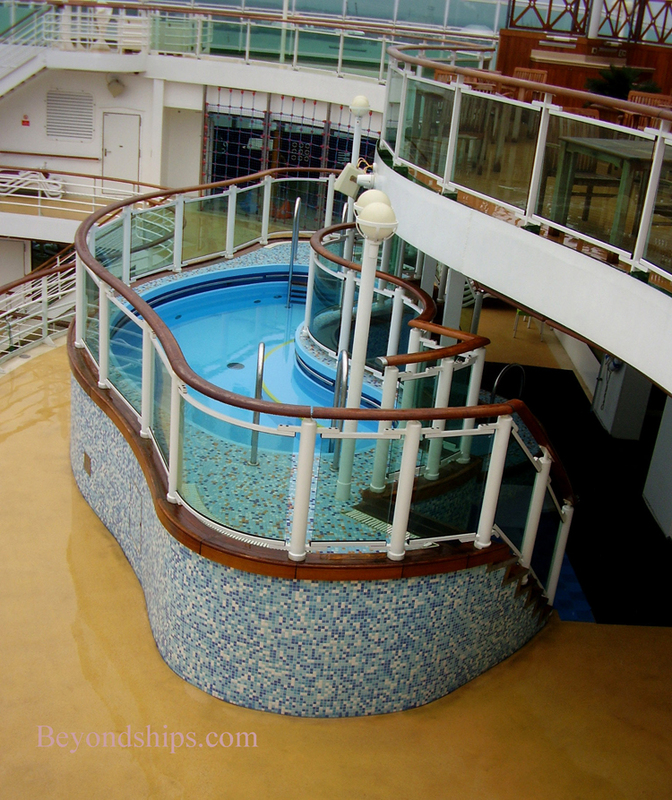 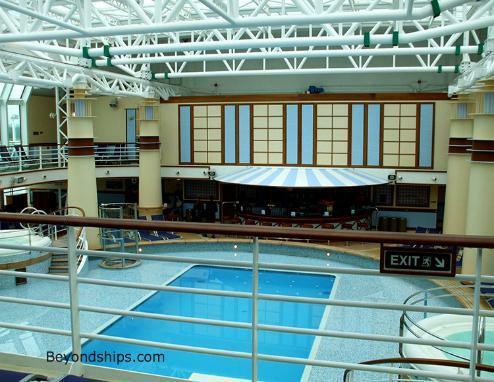 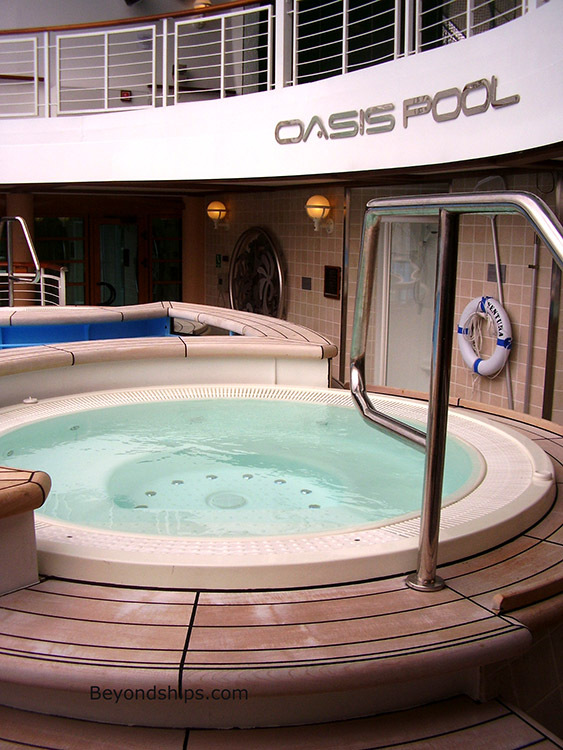 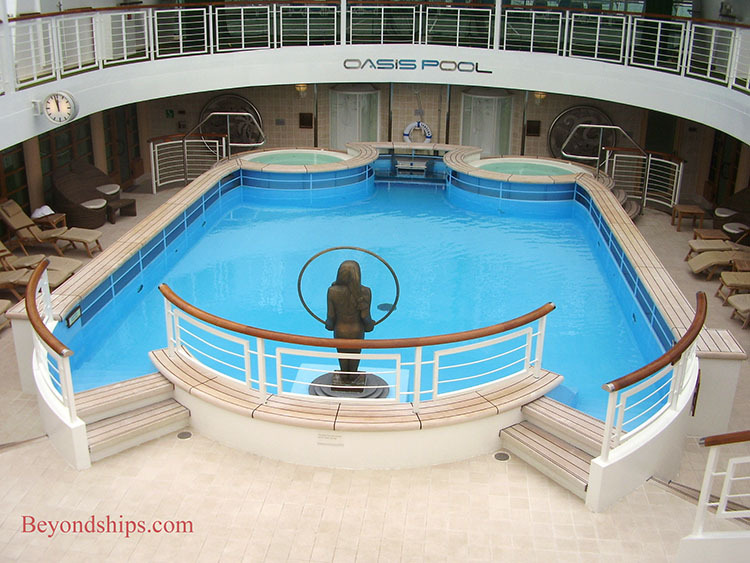 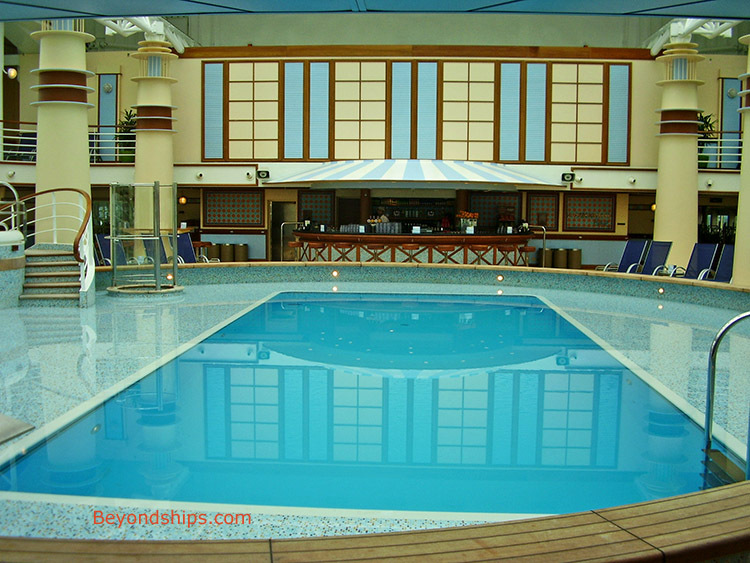 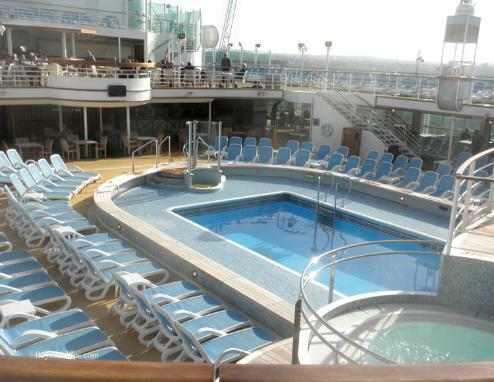 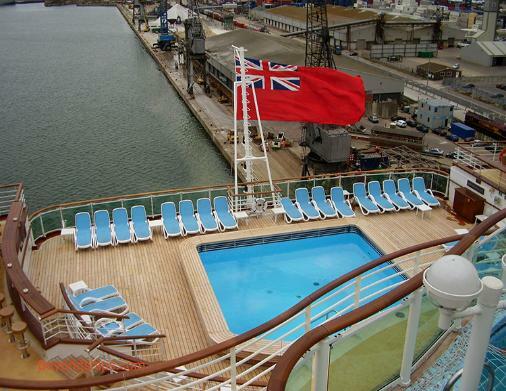 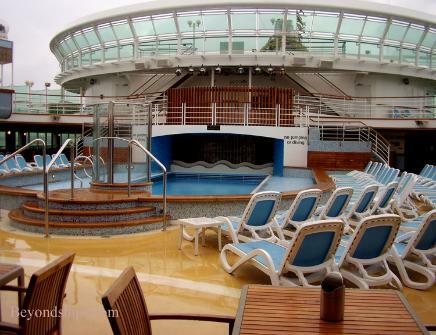 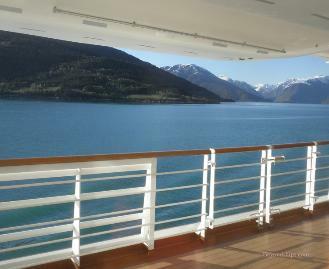 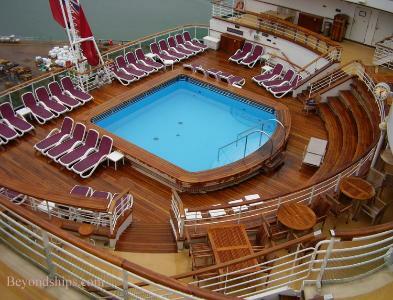 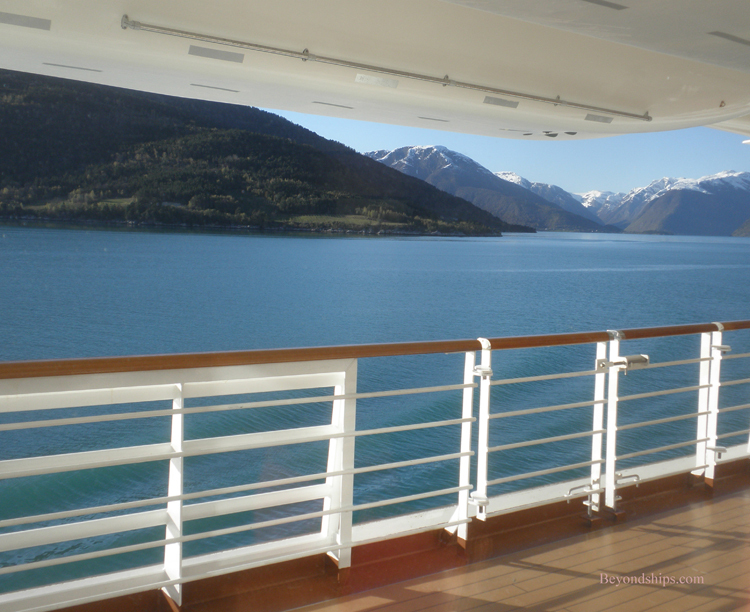 The Laguna Pool is the largest pool on the ship. 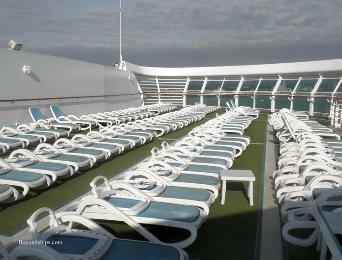 It is open-air. On certain evenings, shows and parties are held around this pool. 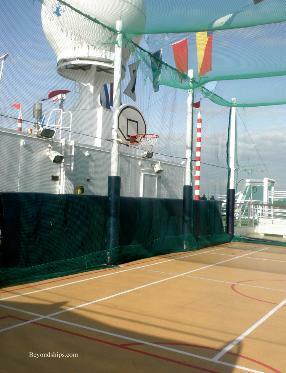 For more vigorous activity, one of the unique features of Ventura is the Crique Ventura. 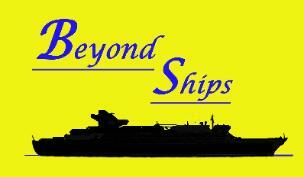 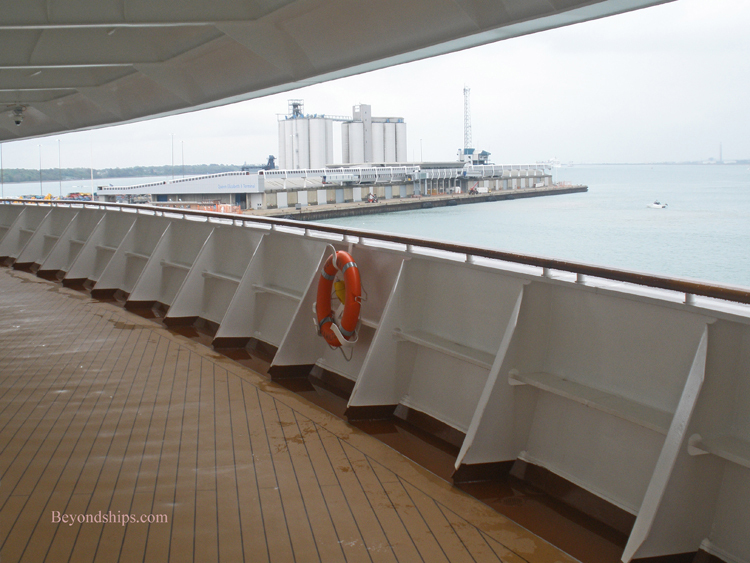 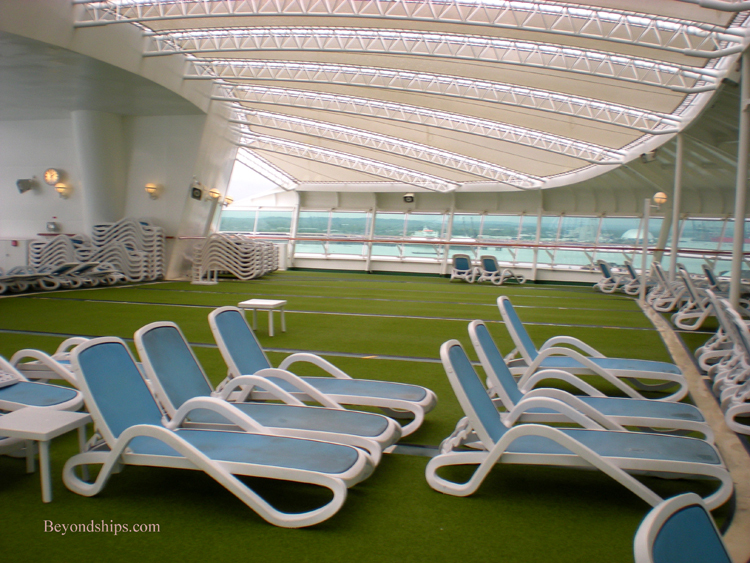 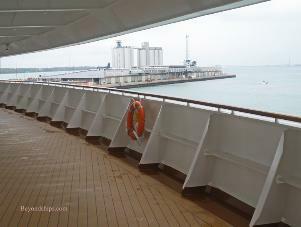 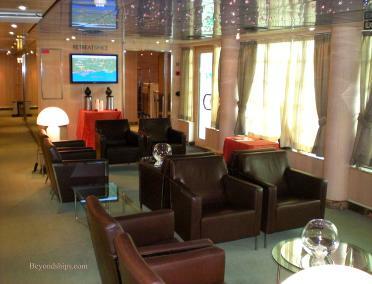 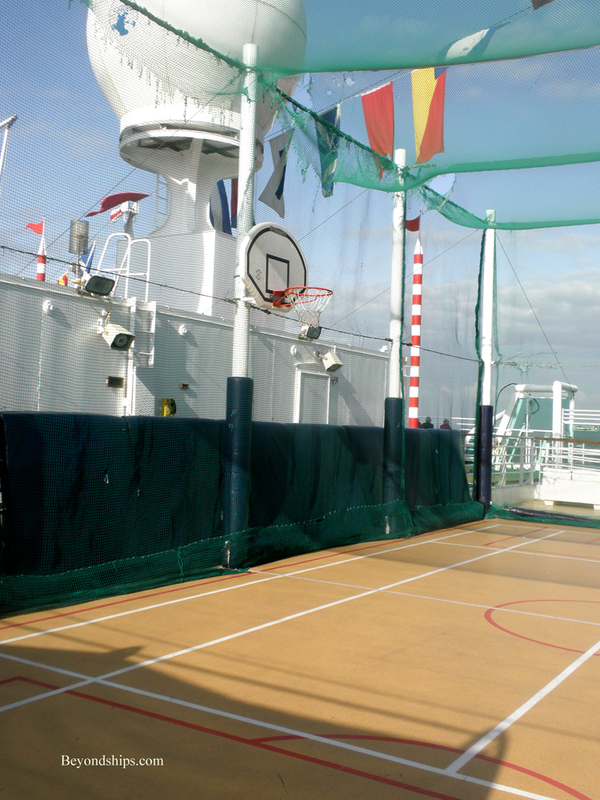 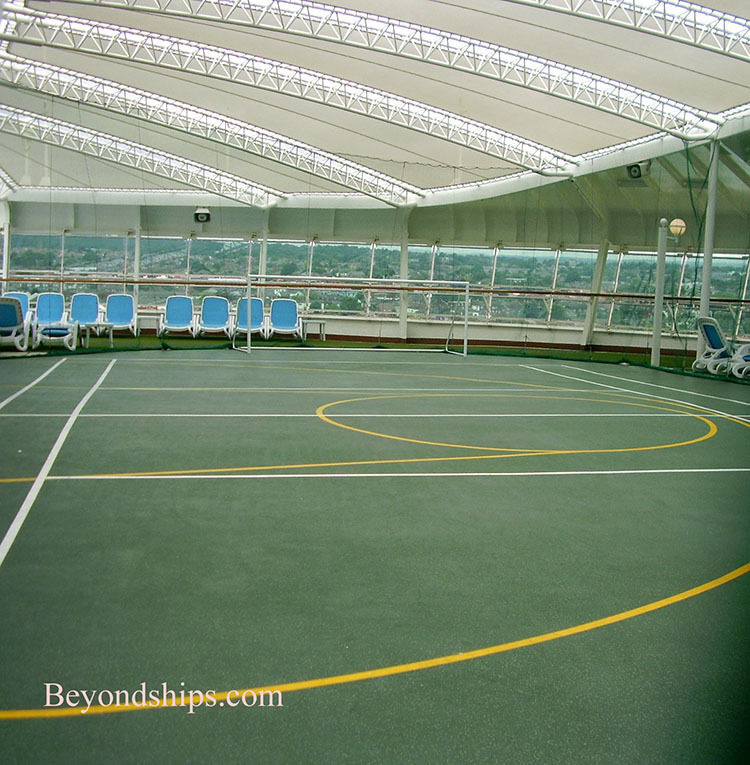 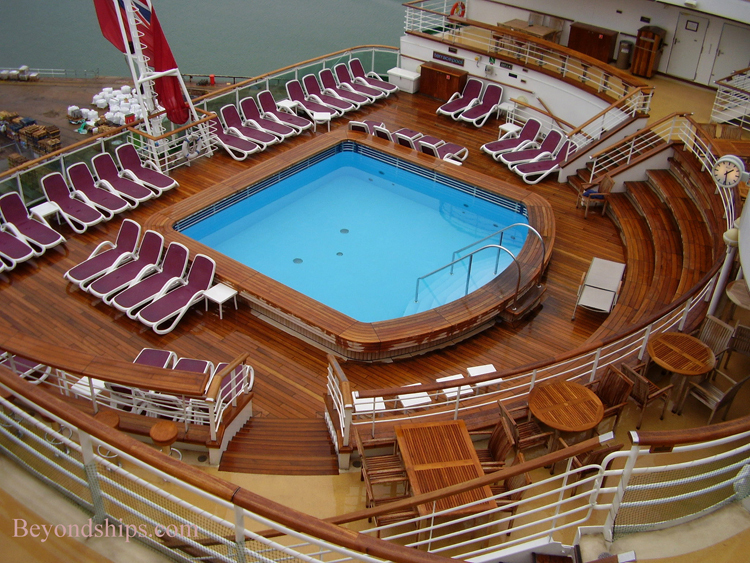 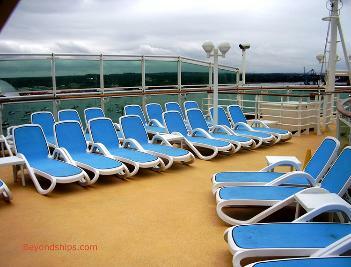 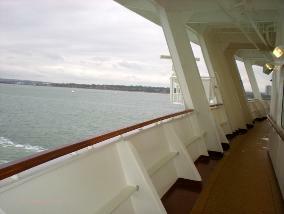 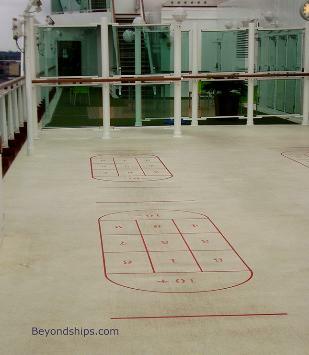 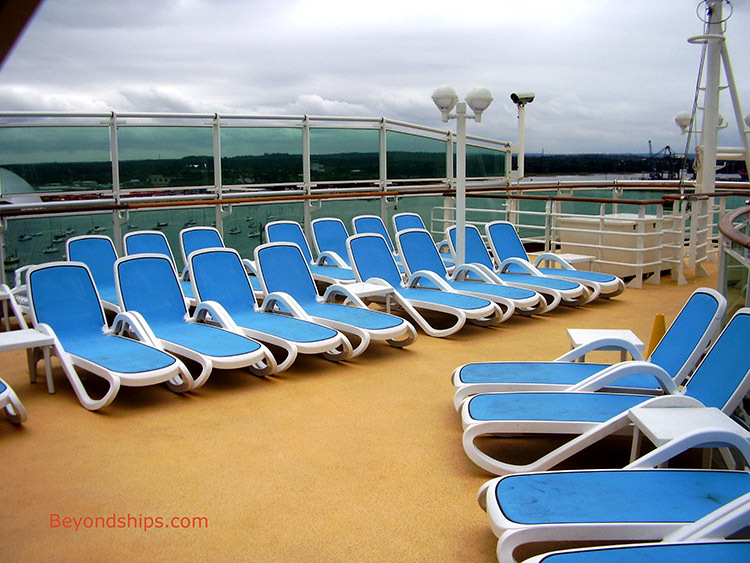 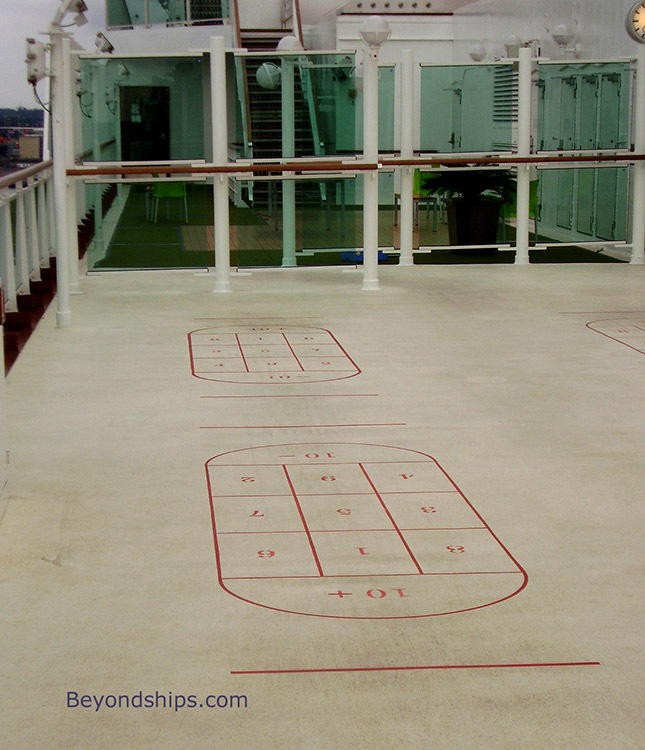 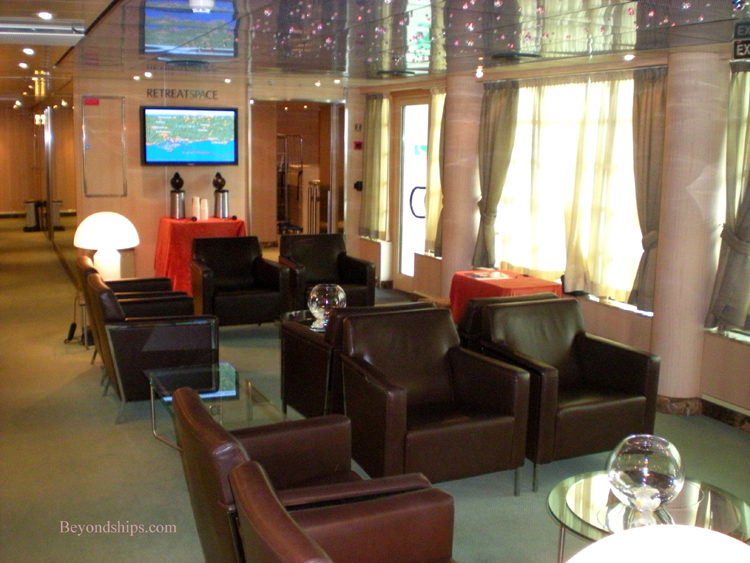 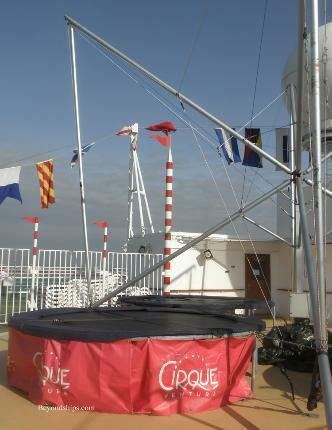 topmost of the ship's open public decks. 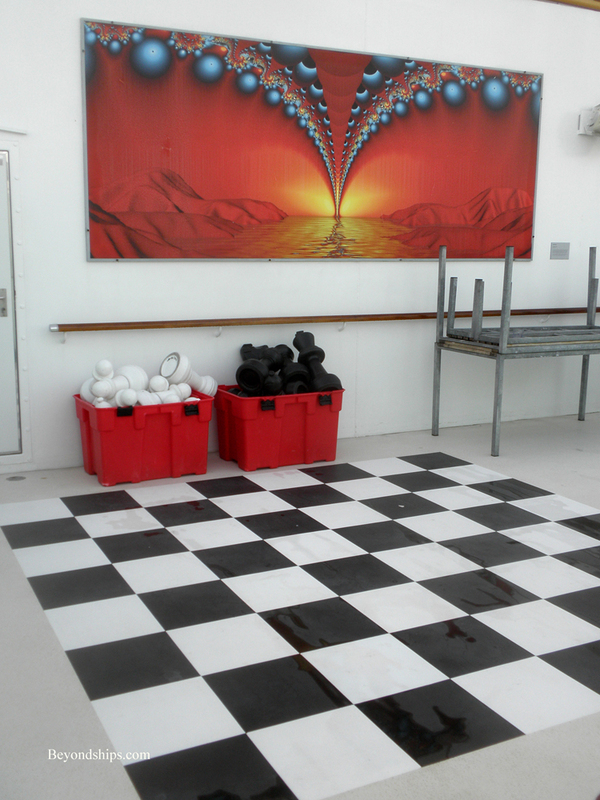 in The Retreat Space (below right).